2019: will you help build on this success and sustain the park into the future? Thanks to your generosity through the years, Durham Central Park has become a unique, welcoming gathering space in the heart of our growing city. 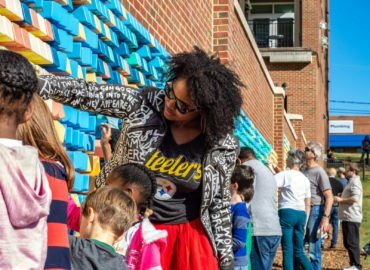 Just a little over 20 years ago, Durhamites worked together to envision an urban park to engage the community and be a place to enjoy natural beauty, public art, community events, and playing in nature. Durham Central Park is different from other city parks. The city owns the land, but the park is managed, developed, and programmed by DCP, Inc, a 501(c)3 non-profit organization. We do not receive public funding. Friends of the park, like you, have generously supported the park every step of the way to transform five weedy, underused acres into this wonderful park. As the skyline around the park continues to change, DCP, Inc. remains committed to our mission of Providing Space for Community. 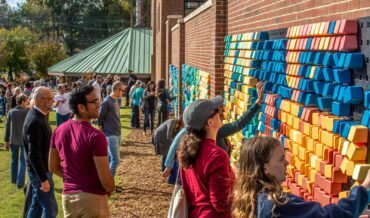 It is critical that Durham has a gathering space in the heart of the city where everyone can feel welcome. This year, along with the hard work of maintaining the park and continuing our free, inclusive programming, we have been able to make some great improvements. 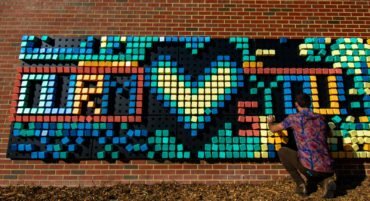 In November, we installed our new interactive pixel art wall where park-goers make new art every day. We planted 30 new trees. Moving into the winter, we will be installing a pollinator garden around the bee hotel, planting more trees, and adding several new benches. In 2019, we will undertake the hard work of updating our strategic and master plans. In the park’s short history, with the constant support of the community, we have been able to build a great park. 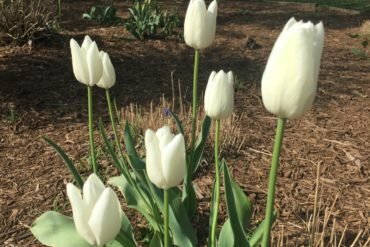 But, it is time to look towards the future and ensure that the park lives up to its full potential and becomes the jewel of downtown Durham that was envisioned from the start. Will you help build on this success and sustain the park into the future? Your year-end gift, of any size, will help to safeguard this space and all that it means to you and your family. We look forward to seeing you at the Park soon! 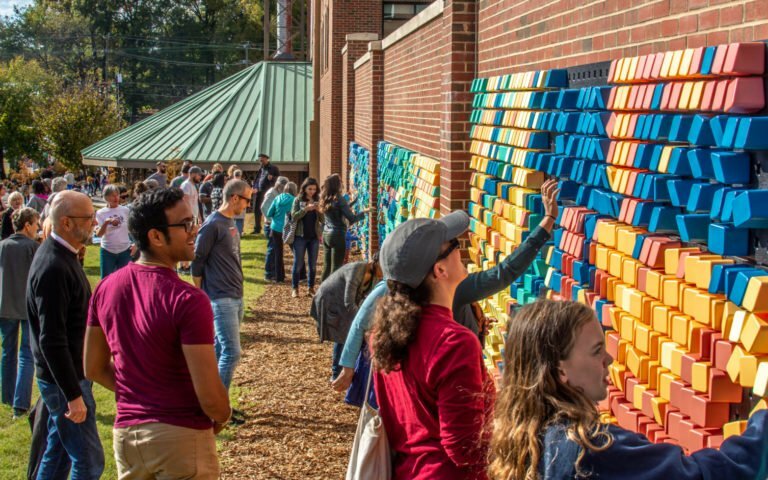 On November 4, 2018 Durham Central Park’s Pixel Wall was installed. This is a space for community members and visitors to get creative and make art! Everyone is invited to join. 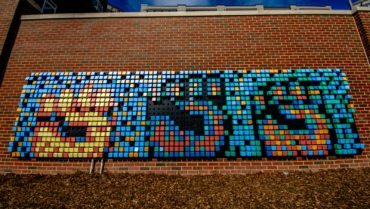 The Pixel Wall is located on the east side of Durham Central Park, on Liberty Warehouse Apartment’s brick wall overlooking the great lawn. You may have noticed that this week’s Indy cover story takes place in Durham Central Park. Here’s what we we want you to know. Durham Central Park is a 5 acre public park in downtown Durham. The land is owned by the City of Durham. Durham Central Park, Inc, a 501c3 non-profit organization, holds a management agreement to develop, manage and program the park. Since the park was established in 2001, it has become an active, public community gathering space. 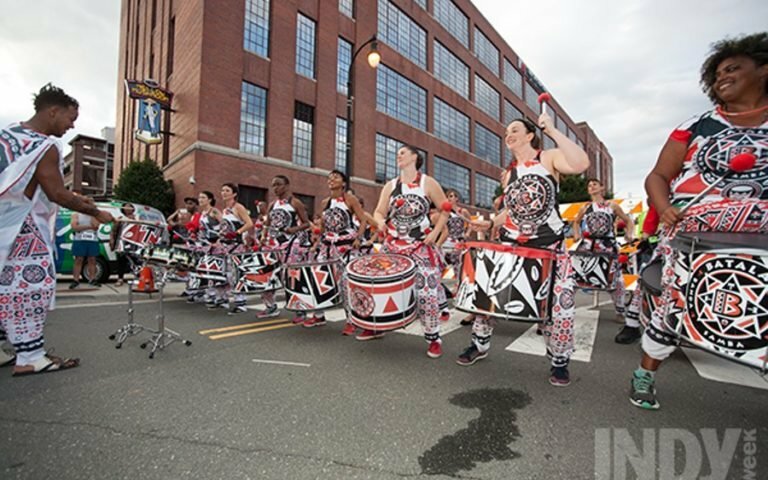 For over a decade now, the park has been the backdrop for concerts, movies, celebrations, food truck rodeos, the Durham Farmers’ Market and many cultural events that have helped to make downtown Durham a lively, vibrant place to be. DCP, Inc.’s mission is Providing Space for Community. That means a number of things, including continuing to maintain and improve an already amazing urban park, working hard to ensure that the park is accessible to everyone, hosting enjoyable free events to enliven the park and enrich the community, and safeguarding a place for people to gather every day of the week. 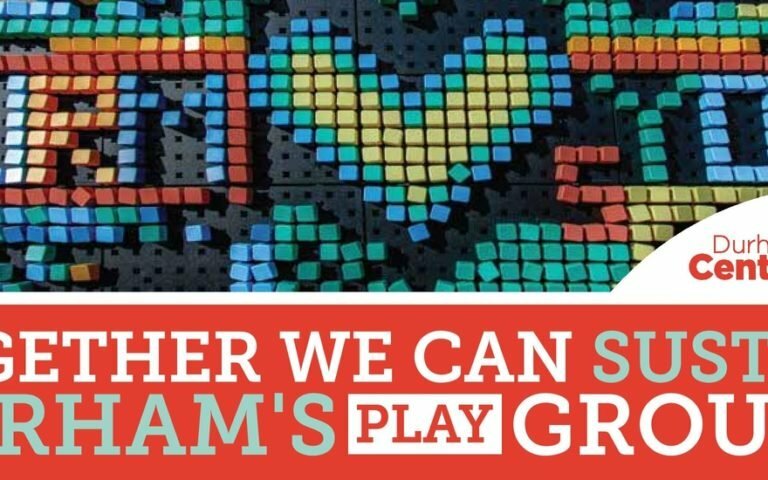 We strive for Durham Central Park to be a vibrant, urban park where everyone feels welcome. As the neighborhood around us changes and new residents move in, we hope that they have chosen to be our neighbors because they value the activity and culture of the park that has been cultivated by the wide diversity of park users. However, we realize that there may be some friction with new residents and long established activities. We are dedicated to working with all parties when there is an issue and want to find win-win solutions. We understand that the Durham Police Department is tasked with enforcing the laws and policies that are set by the City of Durham. We expect that DPD will apply enforcement with consistency and respect. Since downtown Durham is undergoing rapid change and becoming a mixed use area, this may be a good time for the city government officials to revisit the noise ordinance to ensure that the ordinance is clear and fairly written so that the culture and fabric of what has made downtown Durham so appealing is not irreparably altered. We love hearing about your adventures in the park. Share yours and we might publish it here on our blog.